Sale Description: The Adventures in Homebrewing Cyber Monday Sale is going on now! Today only you can save up to 66% on popular home brewing gear. They are running big discounts on everything from GrainFather home brewing systems, kegs, grain mills, beer recipe kits, homebrewing starter kits, beer bottles, homebrewing kettles, draft beer towers…. you name it and it is probably on sale at an incredible price! 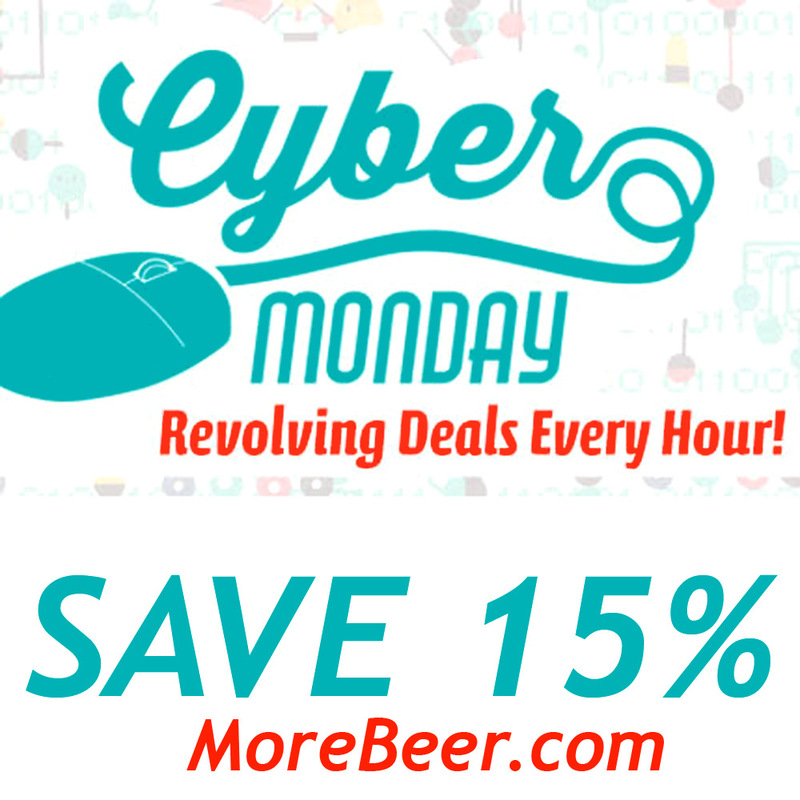 Coupon Description: MoreBeer is having their anual Cyber Monday homebrewing sale. Right now you can save 15% on homebrewing items with promo code CYBER16. The deals rotate every hour! Coupon Description: Looking for a GrainFather Homebrewing System at the best price around? Well you found it! Right now you can save $91 on a GrainFather Home Brewery and get free shipping. 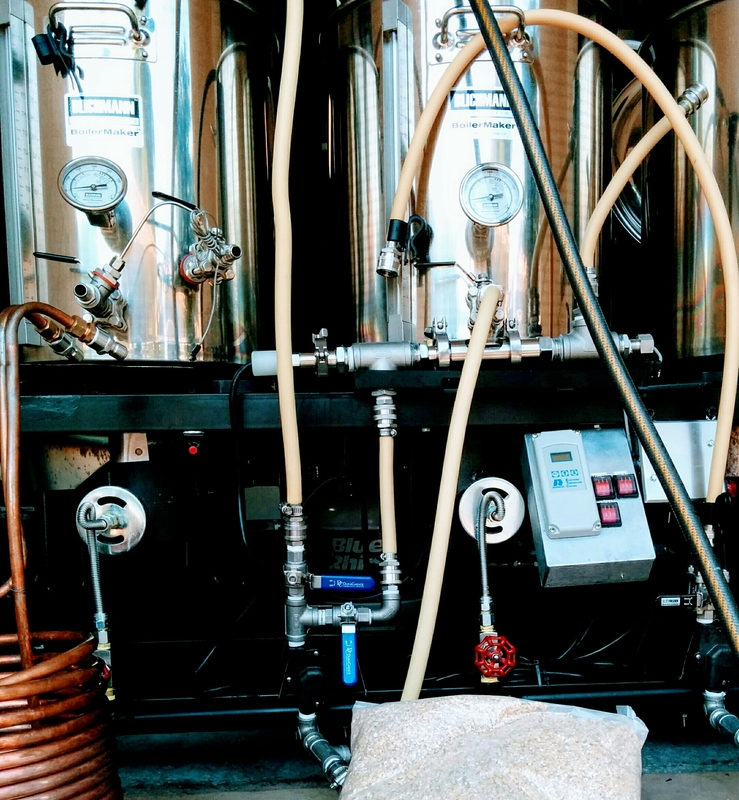 The Grain Father makes all grain brewing simple! The Grain Father home beer brewing system is a a high quality all-in-one brewing system making all grain brewing so easy and so simple that even beginning brewers in a tiny apartment will be able to make a quality ale in their own home. 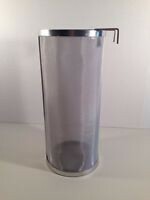 It features accurate built-in temperature control, a recirculation system, a telescopic design that allows for mashing/sparging/boiling all in one unit, a false bottom basket, a hop filter, and a quick and easy to use counter flow wort chiller where you’ll pump your chilled wort straight into your fermentor. Every piece on the Grainfather is thoughtful and constructed with quality. The integrated temperature control module enables accurate temps to be set to within one degree set your mash and boiling temps. The Telescoping design lifts out of the Grainfather so your grain bed is just above your wort where you’ll easily sparge. Ready to boil? a couple of swithes and a quick temperature setting and you’re Grainfather is quickly increasing temperature getting you to boiling temps. Chilling is a breeze with the counter-flow chiller. The GrainFather makes an incredible Christmas Gift for any beer lover! Save $31 on a BrewJacket Fermentation Heater and Cooler!